* Twitter Bootcamp. This is something I am doing for the Academic Tech Expo at my school (University of Oklahoma) which takes place on January 15; since I am not there in person for the Expo (I like in NC), I'm creating this pre-Expo asynchronous experience, hoping to bring more people to Twitter and... ideally... foster a Twitter backchannel for the Expo. I'm putting the materials at the existing blog for our #OpenTeachingOU chats, and I'll write some more in a separate post about my hopes for this project... and perhaps the Bootcamp can even be useful to participants in HumanMOOC who would like to learn / learn more about Twitter. I'll label posts about this project both HumanMOOC and Twitter Bootcamp. 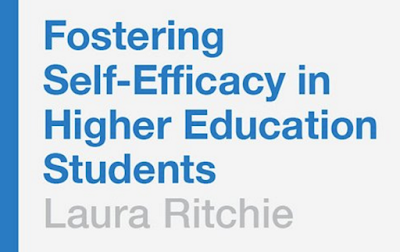 * Laura Ritchie's new book: Self-Efficacy. I'm writing a review of Laura Ritchie's book, and I'm so excited about what I am learning there that I need to take some detailed notes before I write the actual review. I'll be sharing those notes here, and I think they will be of interest to other HumanMOOCers also. Laura is active at Twitter and other social media spaces, so I'm sure we can bring her in to answer questions, share ideas. I just finished the book; now I need to re-read and take notes (no Kindle, alas, so the note-taking is kind of time-consuming). 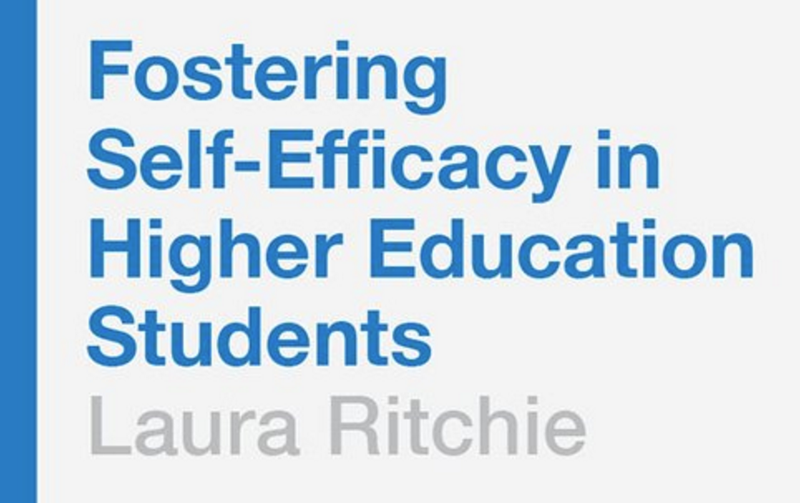 I'll label those posts both HumanMOOC and Self-Efficacy. * Learn by HEART. In addition to lots of little changes to my classes for the new semester, I have one BIG change, which is building on the Growth Mindset project from my last semester (such a big success! best new component that I have added to my classes in many years) to add some additional types of challenges for students to do: HEART: Health/Happiness, Empathy, Attention, Reading, and Time. This will still be a work in progress when the semester gets started, but since I am feeling confident about this based on the students' reaction to Growth Mindset, I am not worried about building that with the students' help as the semester goes along. I'll label those posts both HumanMOOC and Learn by HEART. Today is the first Monday that I am not "at work" ... and instead just working on projects I am really excited about. School starts officially on January 18, and I am opening my classes one week early as usual on January 11 which is also the day Twitter Bootcamp "starts" (insofar as an asynchronous thing "starts") ... which gives me almost FOUR GLORIOUS WEEKS to work on this stuff. And since last semester went really well, I don't even need a few days to recover. I had a totally fun weekend... and now I am ready to enjoy the break by learning all kinds of new things. Whoo-hoo! This entry was posted in Syndicated and tagged #HumanMOOC, Learn by HEART, Self-Efficacy, Twitter Bootcamp. Bookmark the permalink.